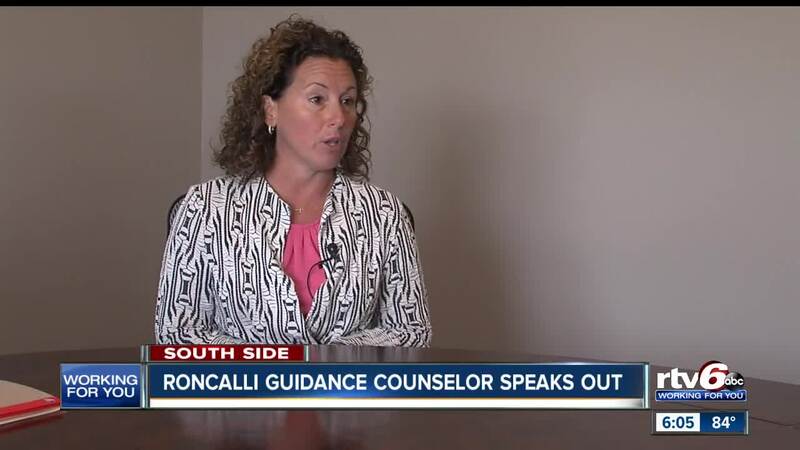 INDIANAPOLIS -- A guidance counselor at Roncalli High School says she was sad and hurt that school administrators and the archdiocese gave her the option to resign or dissolve her marriage after they learned that she was married to a woman. 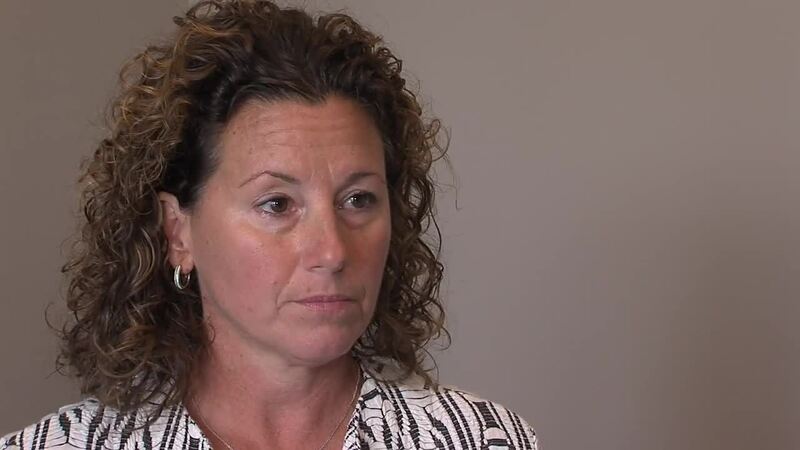 Shelly Fitzgerald says she was asked to meet with school president Joe Hollowell and Principal Chuck Weisenbach last Friday. At that meeting, Fitzgerald says she was shown a copy of her marriage certificate. Hollowell said someone turned it into him and that he then had to turn it into the archbishop. "I was hurt, sad, I was hurt," said Fitzgerald. "I've been there 15 years. I've been a part of a community that loves each other. I was stunned. Fitzgerald says she was given four options: to resign, dissolve her marriage or, "stay kind of quiet and hope that it would, you know, stay quiet until the end of the year and keeping my job as long as possible if it stayed out of the media and then they would not renew my contract the following year. Or depending on how boisterous it became, they would have to move towards sooner termination." "I love my wife very much. I didn't have any intention to resign a job that I adore. For me to walk out was like saying I didn't want to be there anymore and that wasn't the case," said Fitzgerald. Fitzgerald says she's been quiet for the past 15 years and she wants to be honest with the people in her life that love her. "It really wasn't hiding, I'll tell you that. People knew. People I worked with knew. People I called friends and love, that wasn't secret from the school. There are tons of people that knew and loved me. It just happens to be the wrong people found out," said Fitzgerald. Fitzgerald's attorney, David Paige, says they would like to open a dialogue with the archdiocese and Roncalli to try to find a path toward resolution so they don't have to resort to litigation. Fitzgerald says she doesn't want people to leave the church, she wants to create change. She wants to push for acceptance of people like her. Scripps affiliate RTV has reached out to the Indianapolis Catholic Archbishop Charles Thompson's office and requested an interview. As of Tuesday evening, his office had not yet responded to that request.